You won't beleive your eyes or ears when you catch Mark as Barlow in action. The closest thing you can get to the real thing without cloning! We've seen a lot of tribute acts in our time, in fact we pride ourselves on being the home to some of the very best tributes in Britain. So, as you can imagine, it takes a lot to impress us. We spotted Mark at a showcase event for agents in January 2014 and to be honest his performance stopped us dead in our tracks, drink halfway to lips. His uncanny resemblance both in appearance and vocally is simply astonishing. In fact even when Mark talks, his natural voice and accent (he was born and brought up a stones throw from where Gary Barlow originated) is almost identical to the Take That top man. 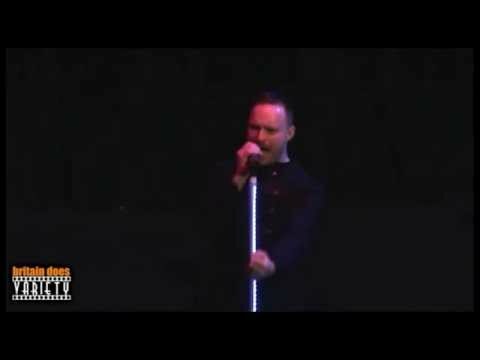 Mark delivers a show with all the passion and sincerity of the original. Great songs delivered in the same manner as the guy who wrote them plus a profesional, courteous personality keeps this fine artist very busy indeed. We weren't the only agency beating a path to Mark's door after his showcase performance, but we're delighted that he chose us to work with. He's busier than almost every tribute act in the UK, but we can still get him for you if you're quick. Enquire Now and secure this superb singer for your wedding or event. Mark is surprisingly affordable for the quality of show provided. Check out Mark performing with Take Off That, a superb Take That tribute band also available through Hireaband. Sorry, Mark as Barlow doesn't have any photos right now Send us an enquiry and we'll get back to you, or check out the rest of the act profile. Never mind the fact that he's a Gary Barlow tribute, this guy is one of the best tributes of any kind I've ever seen, and I know most of the agents in this room feel the same. Mark, get your diary out mate, you're gonna need it.Tank Sherman - Keeping it Live compere.